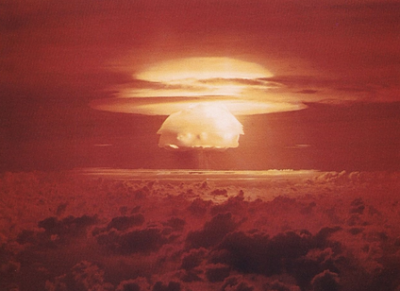 Will The Planet Recover from Nuclear and Climate Assaults to Flourish Again? The Earth has proved its endurance in the past. Around 66 million years ago a city-sized asteroid crashed into south-eastern Mexico, finally leaving behind it a crater almost 100 miles in diameter. The asteroid collided with a force of about one billion atomic bombs, such as the one dropped on Hiroshima at the end of World War II. Any living thing present within the locality was incinerated in a fraction of a second. The impact unleashed a megatsunami, with waves over 300 feet high, that reached hundreds of miles away to what is now Texas and Florida in the United States. Furthermore, tremors following the asteroid’s contact resulted in worldwide earthquakes and volcanic eruptions, causing indescribable chaos and instability. On that day the asteroid’s appearance signalled the end for our globe’s dinosaurs, including apex predators like Tyrannosaurus rex – which roamed in areas like Wyoming and Montana, approximately 3,000 miles north of the asteroid collision zone. The T-rex itself may have been one of the last dinosaurs to die out, because of its broad diet and scavenging lifestyle, while it could run at speeds of up to 45 mph allowing it to catch any weakened prey. However, within a few short years, as global temperatures plummeted while food sources dwindled and disappeared, so too would the iconic carnivores. Their unavoidable decline and extinction was a fate that befell all land animals heavier than 25 kilogrammes (55 pounds). The asteroid’s arrival entailed a rapid loss of 75% of all life on earth, known as the Cretaceous-Paleogene extinction event. For up to a decade following the asteroid strike, sunlight was unable to reach earth’s surface due to dust particles in the stratosphere, cutting off the lifeblood of plants and affecting vast sections of the food chain. Yet what is remarkable is that anything should have survived, let alone a quarter of what was living before. The asteroid’s explosive force was equivalent to millions of the most powerful nuclear bombs humankind has created. Certain species that survived this period exist even today like the goblin shark, frilled shark, crocodile, jelly fish and leatherback sea turtle. If our globe could absorb such an assault and rebound to once more host great varieties of life, it can surely do so again in the scenario of nuclear war – whose chances have increased with the Doomsday Clock at two minutes to midnight, although its hand did not advance this January as expected. Humans themselves have displayed an undying fascination with dinosaurs, perhaps when viewing the gigantic reptiles they behold creatures that once ruled the planet as we do now. Humans have highlighted the lack of intelligence of dinosaurs, as a means of pointing to our own “superiority” and grandeur. However, dinosaurs dominated the globe for 175 million years, and would have continued to roam but for a certain intervention from above. The first human ancestors arrived up to seven million years ago, while modern humans have been in existence for about 200,000 years. Today, one can say with confidence that Homo sapiens will not be commanding the world for anything like a similar time to the dinosaurs. Continued survival of humans is, as documented, in growing jeopardy due to their leaders’ refusal in dismantling what can literally destroy the species: nuclear weapons. High intelligence, which is unique to humanity, comes at a considerable cost. The atomic bomb could not have been produced except by beings that possessed formidable brains; in this case a group of scientists working around the clock with Allied government backing, apparently immune to the consequences of their actions. These policies are a testament to how dangerous humans can be. When one looks at the example of nuclear weapons, the reputation of Tyrannosaurus rex is practically benign by comparison. Dinosaurs, no matter how large, were not a threat to life on earth and fitted into the food chain then in place. What’s more, dinosaurs were not harming the ecosystems around them, as humans currently are leading to the planet’s sixth mass extinction. Over the past 70 years, there has been a chilling record with weapons of mass destruction, as last minute intervention was required more than once to avert nuclear catastrophe. At other times, sheer luck played out in the face of blundering and recklessness. In spite of everything, modernization of nuclear arsenals is continuing, led recently by the Obama administration; this overhaul is now firmly pursued by president Donald Trump at a $1.2 trillion cost “over the next 30 years”, sparking an inevitable arms race. Come the event of nuclear war, those humans who could possibly overcome an unfolding nuclear winter, are tiny numbers like the Waorani people of remote Amazonian Ecuador. Tribal communities such as the Waorani are remarkably adept at surviving in difficult terrain over generations, and have an old saying that: “The rivers and trees are our life”. For the so-called civilized populations of the first world, increasingly detached from nature and crowded into cities, similar viewpoints have become alien and forgotten. Other ancient societies present in the Amazon and separate rainforests, along with hardy souls like the Sami people scattered around the Arctic Circle, may also have a chance of pulling through the nuclear winter phenomenon. Meanwhile, nuclear weapons’ ongoing existence is presented to the public as a means of safeguarding “national security”. In reality the opposite is true. The greatest threat to America’s safety, the leading military power, is that of nuclear weapons. Should America initiate a first strike nuclear attack against Russia or China, without retaliation from either, it would still destroy the western superpower because of nuclear winter. Climate change is another cataclysmic issue, but compared to nuclear war, a warming world is not likely to pose as immediate a threat to entire humankind. Nations like Bahrain, Saudi Arabia, Qatar and others – stiflingly hot already – will quite probably become uninhabitable for people in the decades ahead. Yet there are other states that still enjoy moderate, comfortable climates such as Britain, Ireland, Germany and the Netherlands, which can surely support human life for the foreseeable future. As too might extensive sections of the US, Canada and elsewhere. While the existing global warming period, which dates to the mid-19th century, is indeed very serious and should not be underestimated, there have been many aeons of climatic alteration over the planet’s 4.5 billion year lifespan. Some of these climate ages were far harsher by comparison to what our earth is presently enduring. The globe has always survived and recovered, though innumerable species were wiped out. More than 55 million years ago, with the dinosaurs mere bone and ash, the earth was up to eight Celsius (46 Fahrenheit) warmer than current temperatures. The planet resisted this scalding heat and life again flourished, taking about 200,000 years for something like normality to return. Three million years ago, during the Pliocene Epoch, the world was on average two to three Celsius warmer than today, with sea levels a staggering 25 metres higher. At this stage, our early human predecessors existed and somehow came through. About 125,000 years ago the planet was slightly warmer than now, with sea levels six to nine metres above present heights, but modern humans overcame these challenges. In more familiar times, during the age of ancient Rome, there was a “Roman Warm Period” in which the legions may have been able to grow grapes in northern England. The mild climate persisted for around 650 years (250 BC–400 AD), peaking in the first century AD, while affecting broad regions of Europe and the North Atlantic. It was during this era of warming the Carthaginian commander Hannibal, born in 247 BC, crossed the Alps in a legendary military excursion against Rome with almost 50,000 men and 38 elephants. Overall, the Roman Warm Period was not as severe or universal as the conditions we are now experiencing. Roughly a millenia later, another unusual occurrence of climatic variation was witnessed by modern humans during the “Medieval Warm Period”, stretching from about 950 AD to the mid-13th century. This span of heating mostly affected the Northern Hemisphere too, and as with the Roman Warm Period, it was not a uniformly global event – nor was it as dramatic as today’s temperature increases driven by massive industrialized activity. Possible causes of the Medieval Warm Period include rises in solar activity, along with a change in ocean current circulation. Shane Quinn obtained an honors journalism degree. He is interested in writing primarily on foreign affairs, having been inspired by authors like Noam Chomsky. He is a frequent contributor to Global Research.